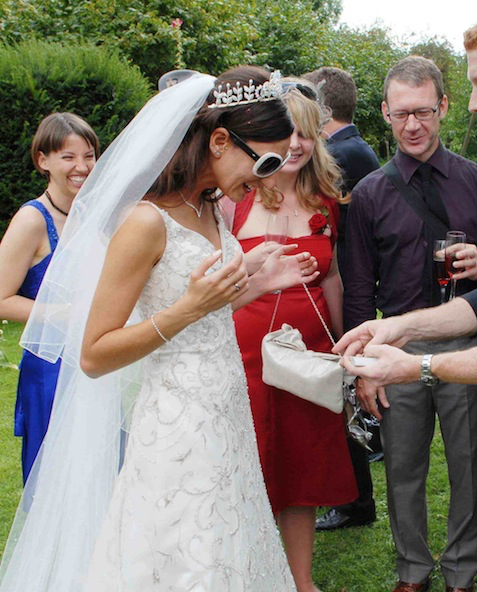 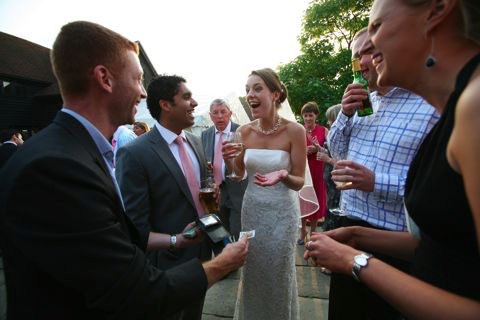 Wedding Magician in the London area. 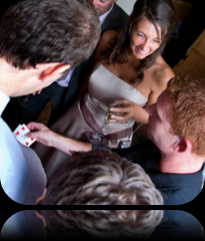 Wedding Magician for Surrey, London and The Souhteast. 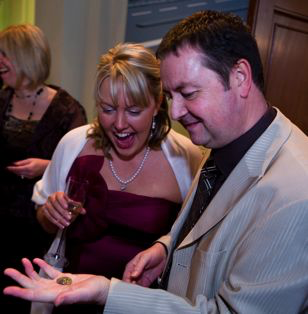 Magic with cards, coins and borrowed objects. 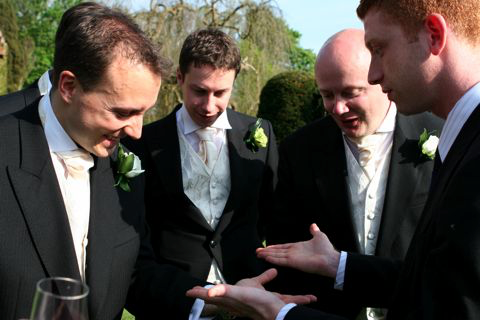 Wedding Magicians London and UK, Adam Keisner entertains at weddings with Close-Up, Sleight of Hand Magic with cards, coins and borrowed objects. 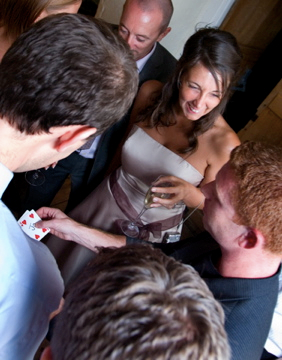 The London Wedding Magician. 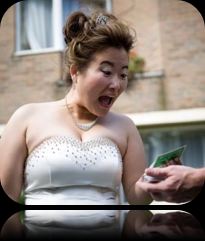 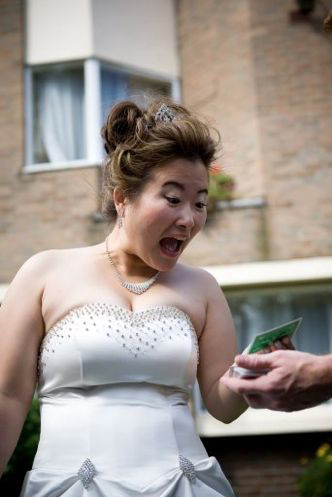 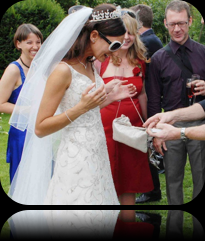 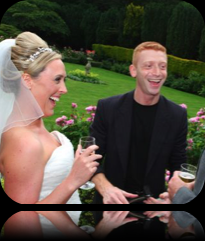 Weddings are great events to perform Close-up Magic, last year alone I entertained at over 40 of them.There’s always plenty of opportunity for me to keep unfamiliar guests, close friends, forgotten relatives, granny and the kiddies totally entertained. 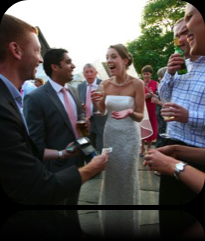 Wedding BreakfastAn Ideal time for some entertainment, wether your guests are seated or standing I can mix and mingle and keep everyone happy. 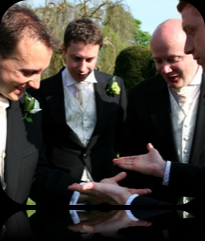 You might like to have me perform after your church service while the photos are being taken, this can take some time and not all your guests will be involved. 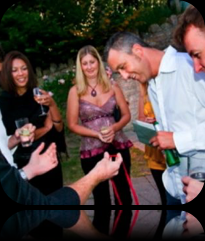 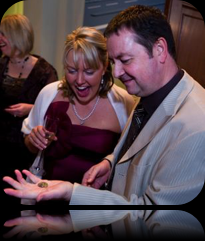 Having me perform some Walk around Magic will ensure some icebreaking moments and keep everyone mingling. 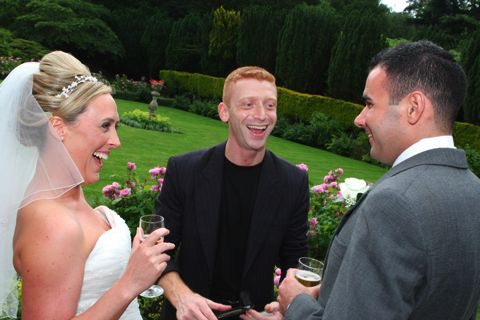 Just before, during or after the main reception is probably the ideal time for me to perform. 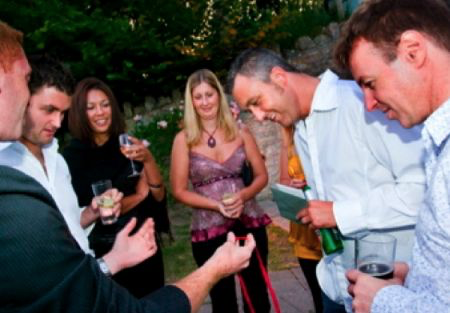 While everyone is eating and drinks flowing the atmosphere lends itself to some entertainment.